Melt butter and add flour. 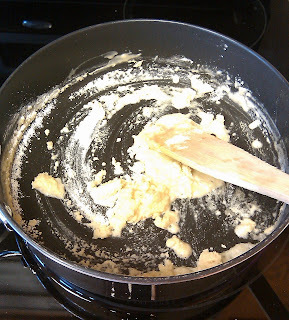 Cook for 2-3 minutes, stirring constantly to cook flour. Add cream and broth, slowly while stirring, and blend well. 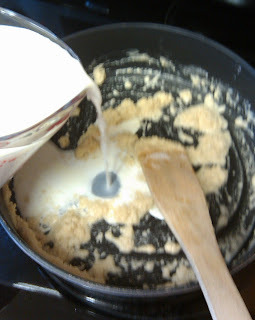 (You might want to use a wisk). 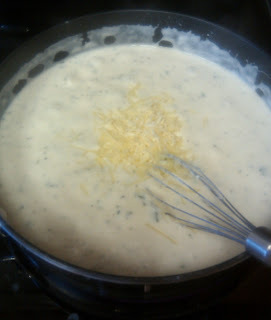 Add the remaining ingredients and stir until cheese is melted and sauce is smooth. (Room temperature cheese works best). Pour over shrimp, chicken, or pasta. 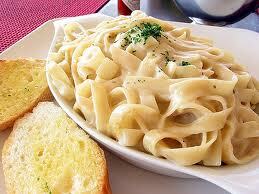 I serve this with pasta & baked chicken. Cut two boneless skinless chicken breasts in half (to make 4 chicken breasts). Dip in melted butter. Coat with italian bread crumbs (or garlic herb, or plain w/salt & pepper, whatever flavor you have...) Bake at 350 for 30 minutes.